Purple no tie elastic flat shoelaces turn shoes into great looking slip ons. 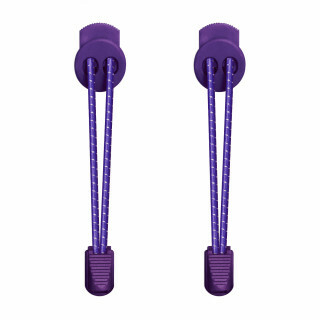 Purple is a beautiful color that's brought to new levels of vividness with our no tie elastic flat shoelaces. The way the light hits them will amplify your style, and best of all, you'll never have to waste time tying your shoes again. When they arrive, you simply lace them up to your exact comfort, then trim the rest of the laces, and like magic, you have a pair of slip on shoes. 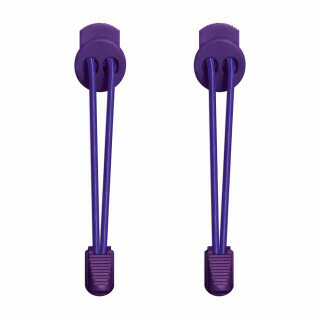 Purple no tie elastic flat shoelaces are exactly as they sound, and from FeetUnique, you can expect the highest quality on top of competitive prices and free shipping. Put simply, you've come to the right place. The laces have a 130% elasticity, which makes them able to expand more than doubles their length. This means you’ll get a secure fit, yet the elasticity will provide great comfort to your feet. The quality of the material and its high-end durability also means that the brightness of the purple won't fade, and the laces will outlast whatever shoe you put them in, guaranteed. Unless it's a high ankle boot, this is a one-size-fits-all claim that’s actually true. When your laces arrive, you'll notice that they seem like they're too long, and that's because you tighten to your preferred level, then put in the locks and trim the excess material. It’s that easy. Also did you know that people can spend up to a month tying and untying their shoes over the course of their lives? Get your time back no matter your shoe size. 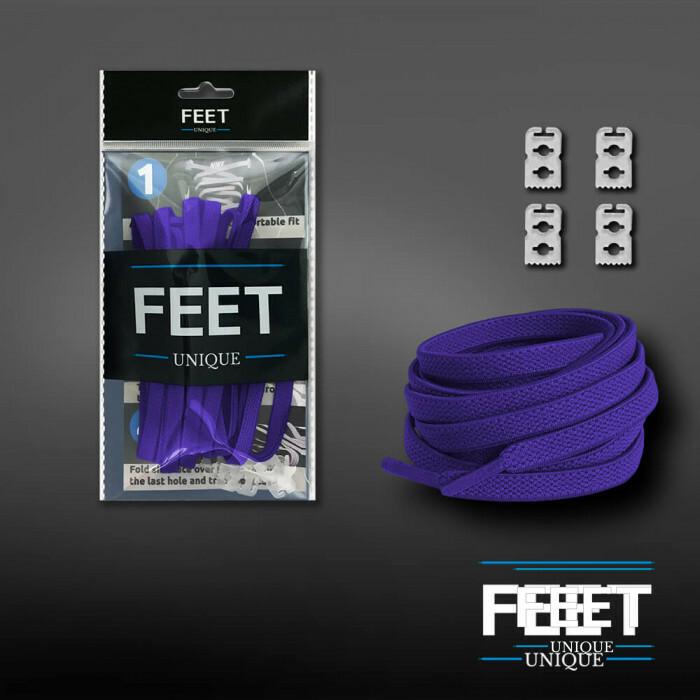 ONLY QUALITY LACES – Strong and secure laces that you can count on. HUGE SELECTION – Leather, no-tie, flat, oval, round, thin, long, short – We have them all. SATISFACTION GUARANTEE – We offer a 100% Satisfaction Guarantee. If you don’t like the shoelaces, we’ll give you a quick and courteous refund – No need to return the laces. FREE SHIPPING – No minimum order – Always free shipping worldwide. 100% SECURE PAYMENT – SSL encryption protection. A secure website with 100% secure transactions. EXCELLENT CUSTOMER SERVICE – Efficient and quick responses + Problem-solving solutions > Satisfied happy costumers are our priority.